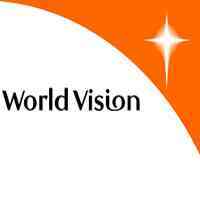 World Vision Tanzania (WVT) is a Christian, Relief, Development and Advocacy Non-Government Organization dedicated to working with children, families and communities to overcome poverty and injustice. WVT is implementing two Technical Programs: (1) Integrated Food and Nutrition Security, Including; Livelihood, Health & Nutr i ti on a nd WA S H (IF a NS ) (2) Education. The Technical Programs seeks to ensure free malnutrition communities in Tanzania through increased production and productivity while promoting sustainable use of natural resources, and connecting farmers to markets and access to credits, access to good health services and increased knowledge on health related issues, making favorable reading and teaching environment and also maintaining availability of safe water, good sanitation and hygiene. To ensure effectiveness of the aforesaid Technical Programs, WVT launched a World Vison Tanzania Academy Internship Program in 2015 so as to provide opportunity for the young graduates to practice knowledge gained, and when so doing they will be contributing to the implementation of the Technical Programs. The broad goal is to support skills transfer, mindset change and technological know-how that will help Communities adopt innovations, improve productivity and catalyze. WVT is seeking applications from suitable qualified Internship candidates on (Agriculture sector – Agronomy, Horticulture, Agriculture Economics, and Agriculture General), Human nutrition Sector, Education sector, Statistics & Economics Sector, Business Administration – market based, Mass Communication and Journalism, Geographical Information System, Water Resources and Irrigation Engineering, Sociology and Community Development. The applicant must have graduated in the year 2016 to 2018 from a recognized university. Successful applicants will initially attend an orientation program. Thereafter, each Academy Intern will be assigned to rural based Area Programs (APs) in Tanzania to serve under the mentorship of an experienced WVT Staff for a period of twelve (12) months. Accommodation support, monthly subsistence stipend, medical cover and life insurance will be provided by WVT This twelve (12) months Internship is a young professional development opportunity and shouldn’t be construed as an employment or guarantee of being employed by WVT. Should there be a vacancy fitting the Academy Intern’s skills and qualifications after successfully finishing the internship program, WVT could consider the Academy Intern for full time employment with WVT through a competitive recruitment process. Only interested and qualified candidates should submit their applications addressed to the People and Culture Director through the following e-mail address: [email protected] together with an updated CV, copies of relevant credentials (degree/diploma certificate and academic transcript), present contacts information and 3 references (1 academic referee, 1 professional referee and 1 church leader referee). Each applicant is also required to submit a 2 page essay describing “Why they should be considered for this internship program”. he deadline for receiving applications will be Friday – 8th April 2019 at 1730hrs. Only shortlisted Academy Intern applicants will be contacted and you don’t hear from us please consider yourself unsuccessful. World Vision is committed to the protection of children and does not take interns whose background is not suitable for working with children. All internship is conditioned upon successful completion of all applicable background checks, including criminal record. World Vision Tanzania (WVT) Interns candidates should be ready to read, understand, sign and adhere to the WVT Child and Adult safeguarding policy which helps safeguard children from any forms of exploitation, sexual and physical abuse. The discovery of any previous child abuse offenses (before or after an offer of internship application) WILL disqualify an internship candidate. However, WVT does not discriminate against any prohibited criteria in its internship.